Sometimes it is hard to believe that we are planting for fall already. 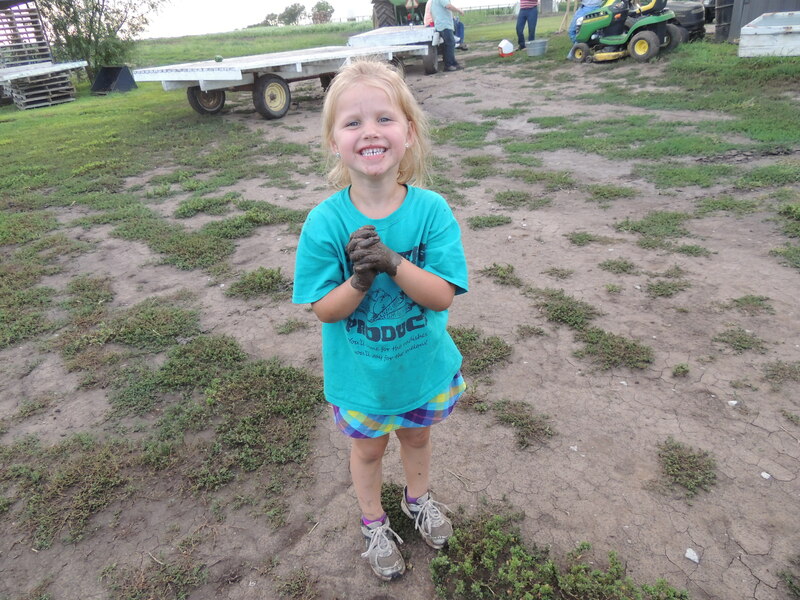 Last week we were seeding fall broccoli and cabbage, this week we planted our no-till colored pumpkins and hard squash. We are hoping to finish harvesting some of the spring broccoli yet this week so that we can get the ground worked and finish planting the remaining pumpkins where the broccoli is currently. 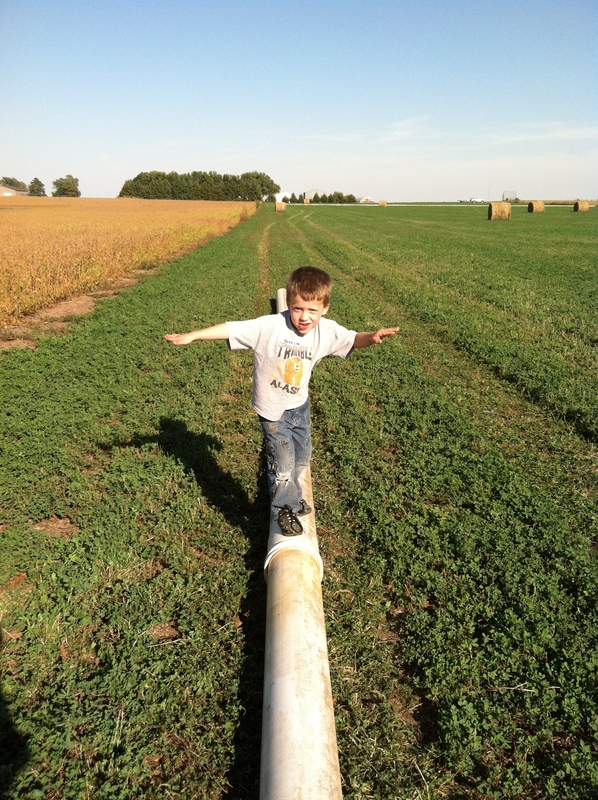 Most of the ground we farm sees at least two or three crops per year. The trickiest part about this is that certain vegetables can’t be planted on the same ground year after year. 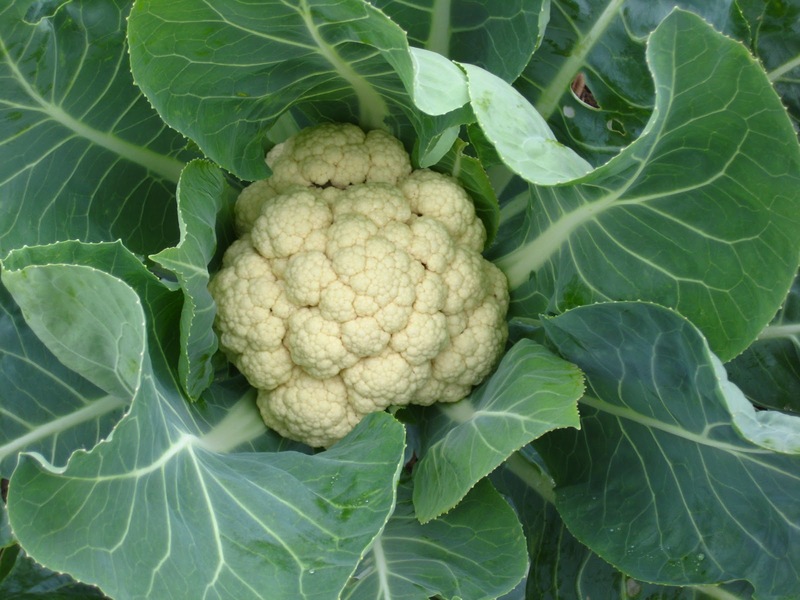 For example, planting broccoli and cabbage in the same spot all of the time can result in a fungus problem. So, it is essential for us to use crop rotations. Just as the ground in the field requires crop rotation, high tunnels also require a variation of vegetable crops. This tunnel was full at one time, but following the final harvest, after tilling the residue into the ground and letting the heat “cook” the bad stuff out – the smell was wonderful (or horrible, depending on your take). After a week of “cleaning it out” we will come back in with more crops – yet to be determined. For those of you with the full bag, you are receiving both shelling peas and snow peas. The snow peas are the flat peas. You eat the entire pod. The shelling peas are in everybody’s bags this week. 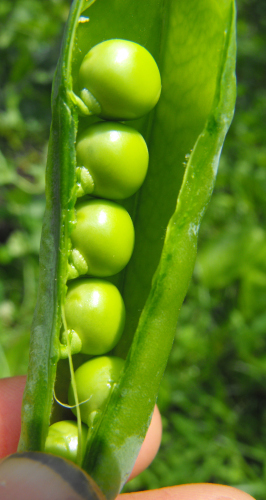 These are the kind of peas you break open and only eat the inside. We often get asked what is our favorite way to eat certain types of vegetables… our answer is almost exclusively “raw!” But we still come up with many different ways to cook them. For a simple dish, sauté snow peas in sesame oil with minced garlic and an onion to make an easy vegetable side dish. Also be sure to enjoy the onion this week! After tasting your fresh Pekarek’s Produce onion (you are receiving the Vidalia-type), you will never want to buy another winter storage onion from the store. These onions are so sweet, you can eat them like an apple – although some people prefer to slice their onions with cucumbers and vinegar. I love to sauté these onions to use in fajitas, top a steak/hamburger, on a potato, or as filling in an omelet. 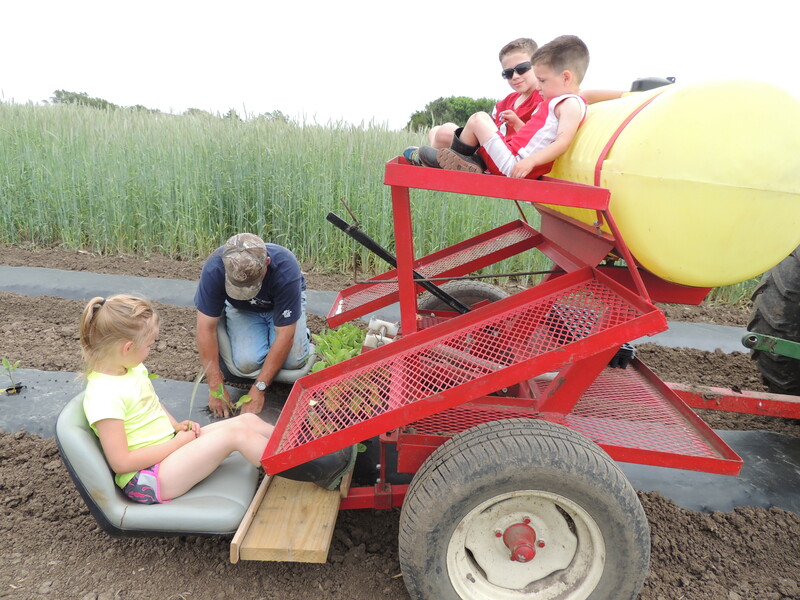 Don’t forget that the 2015 Pekarek’s Produce Farm Tour is being held this on June 28 from 3-5 pm. That’s this Sunday – we hope to see you all then. Here’s the summary for the week: mud… mud… Mud… Mud… MUD… MUDDY… MUDDY… MUD – MUD – MUD! In the month of June we have had rain eight of the first 16 days. The crew has been in irrigation boots for a month and a half at this point. Sometimes we think this helps the crops, but in reality there hasn’t been much sun for the crops to grow and the temperatures have been cool. So other than about three days last weeks, things are pretty slow. We are guessing we are 2 – 4 weeks behind! We have had sweet potato slips sitting in the shed for several weeks now that are now rotten. 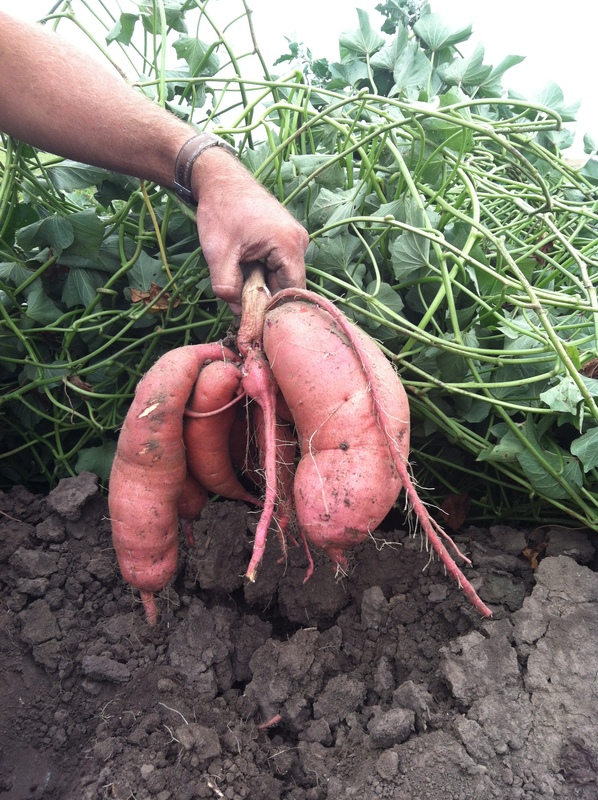 We’ve tried to order more for the fall, but at this point we are not sure if they will get here soon enough, so there is a possibility we won’t have sweet potatoes this year. But it’s not all doom and gloom here – we think it might be dry enough to farm today!! Ryan is thinking that it might even be dry enough to use a tractor today. So while we’ve been doing everything by hand to this point, we might be able to mechanize today. 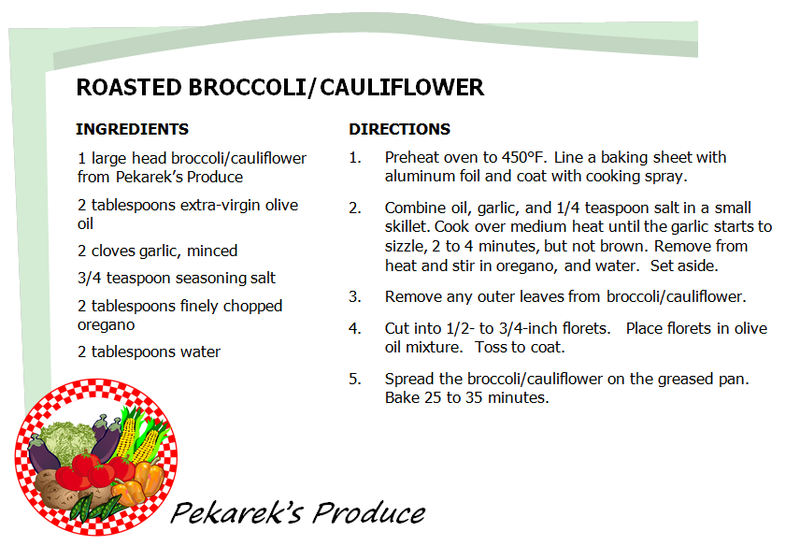 We also have a large batch of broccoli and cabbage that are almost ready. And, since we have had rain, we haven’t had to irrigate yet. It’s hard to believe it, given it’s been a cold wet spring, but we are going to do some fall seeding today. It’s definitely time to start cabbage and broccoli for the fall. So some of you may ask: what do I do with my turnips and kale? We suggest peeling your turnips with a vegetable peeler first, but this is optional. You can cut raw turnips into sticks for use with dips. Grate turnips and use in salads or coleslaws. Of course you can always roast turnips, like any other root vegetable. 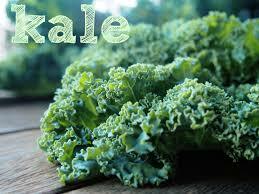 Kale is another vegetable that some of you may be unfamiliar with, but this little gem has gotten a lot of attention for the nutritional punch it packs in recent years. Probably the most popular cooking option is to make Kale chips. There should be a balance between crunchiness and chewiness without burnt edges. Rinse the Kale, drizzle lightly with olive oil (1/2 -1 tsp per baking sheet of Kale), rub the olive oil in, season to taste and then spread into a single layer on the baking sheet. Put them in the oven at 300 degrees F for 10 minutes. Rotate the pan and put them back in for another 25 minutes. Enjoy the adventure!! 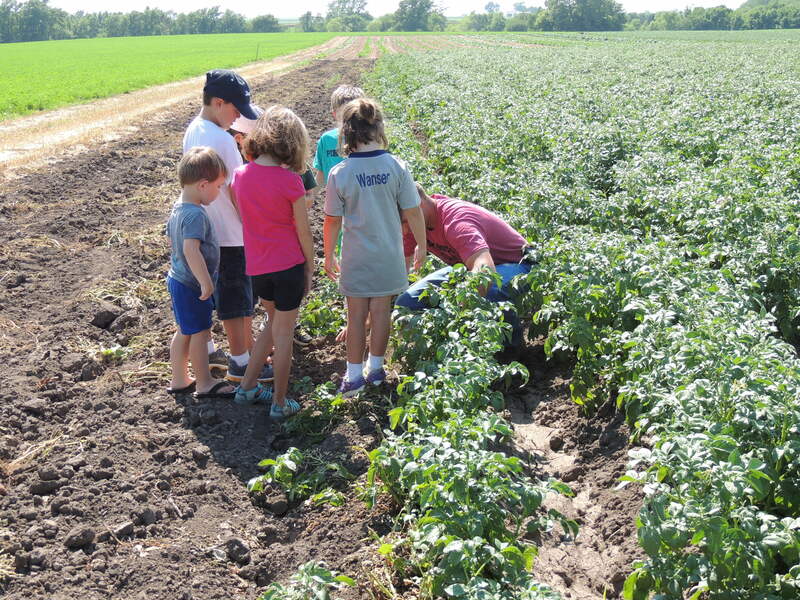 Mark your calendar for the farm tour: June 28 from 3-5 pm. 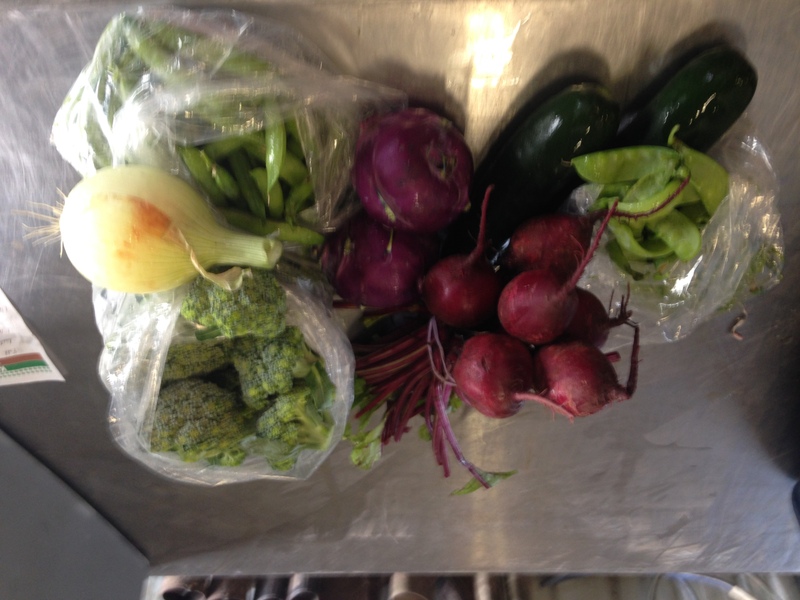 We hope you enjoyed your first week of the 2015 CSA. We know some of you did not receive a newsletter the first week. If that happens, be sure to check out the blog for the weekly newsletter along with some other little farm tidbits and recipes for the week. As per usual, it’s been pretty muddy around here, but we’ve been blessed with a string of four mostly dry days, but the mud just doesn’t seem to want to go away. I know that weather usually seems like small talk, but around here it’s so much more J Ryan’s been chomping at the bit patiently waiting for the field to be dry enough to get some planting and field work done. 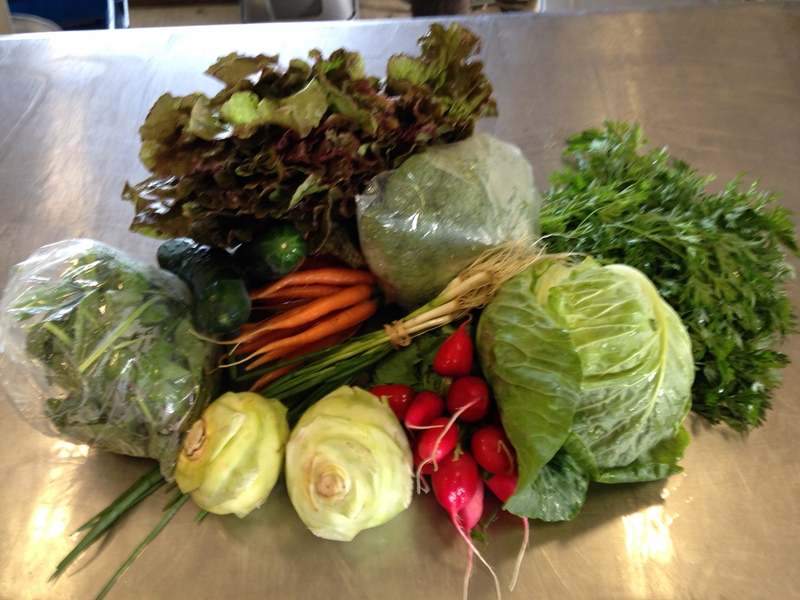 If it were not for the use of plastic, your CSA bags would not have nearly as much in them this year! What do I mean? 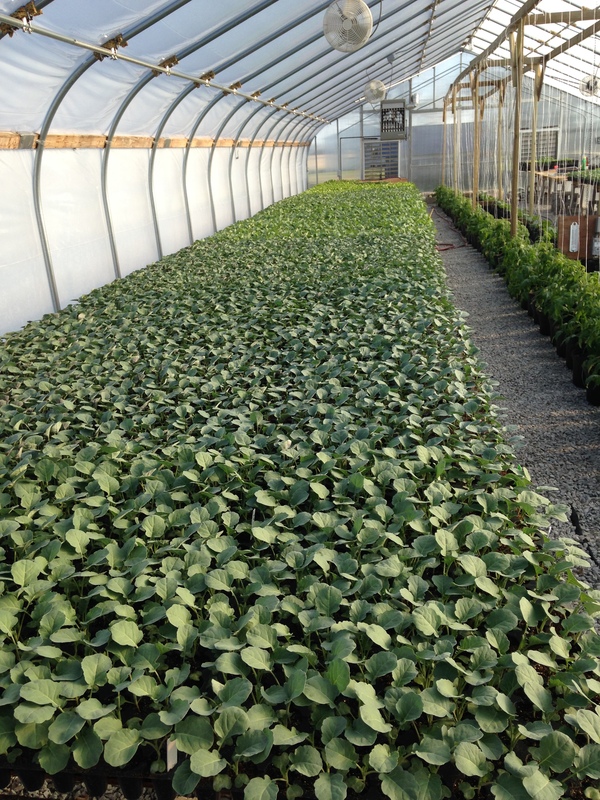 On the farm, we have 1 greenhouse and 5 high tunnels of various sizes. What’s the difference? Not much. 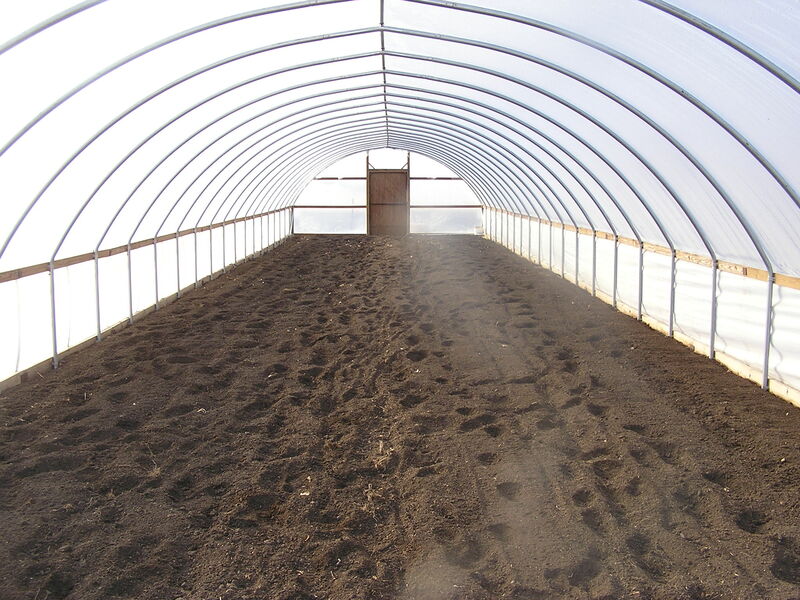 A high tunnel is a hooped structure with plastic covering it. 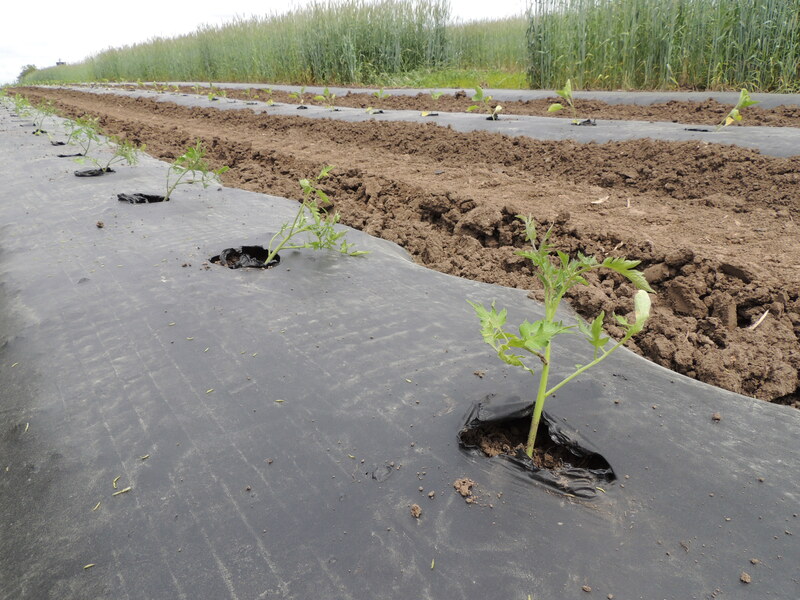 Plants are still grown in the dirt, but the plastic provides protection from things like wind, hail, varmints, and this year – rain. A greenhouse is the same thing, a hooped structure with plastic covering it, except it also has heaters and fans. This means we can get things growing a little earlier. We have mostly used the greenhouse this year to start transplants which eventually make their way to a home in the field. We also use something called plastic mulch. It’s one way to keep weed pressure down and gain a little heat early. Basically we put out a bed of plastic with drip tape for irrigation and then poke holes in the plastic so we can plant transplants. This week has seen a lot of things accomplished. Sweet corn was planted, ground was hilled for sweet potatoes, broccoli and cabbage transplants were planted, tomatoes were transplanted and cucumbers and squash were seeded in plastic mulch outside. Ryan showing off potatoes to a very wise group on a farm tour. Want to actually see what we have on the farm? Well here’s your chance. 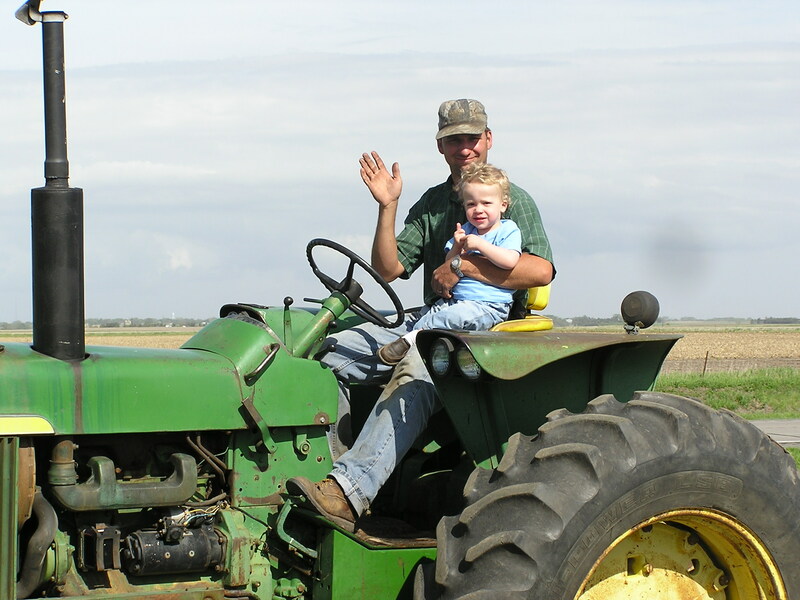 On Sunday, June 28th, we will have a farm tour from 3-5 pm. We will have hay racks for you to get around, so if walking too far poses a problem, we have your alternative. Please remember, though, that this is a farm. I seem to get dirty just looking outside, so make sure to wear some farm clothes. We hope you can all come!